If you live in the northern hemisphere, you might have realized that now the weeds, or wild plants, are everywhere – especially in your backyard! I know many people are annoyed by them, but actually some of them are not only edible but also super healthy! 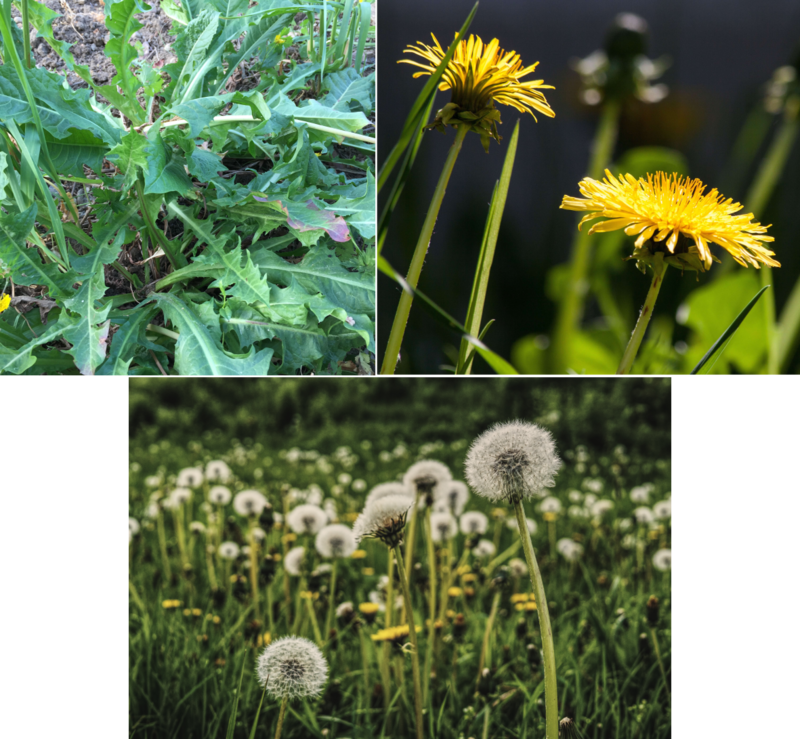 Today, I would like to tell you about two of the most well-known and widespread wild plants: dandelion and stinging nettle. Dandelions are consumed as leafy greens in many parts of the world, where they are also used in phytotherapy in traditional medicine. Dandelions contain many potent phytochemicals, whose biological and therapeutic properties have been subject of scientific research in the last years. Researchers have been concluding that dandelions have potent antioxidant and anti-inflammatory activities, which in turn benefits many body systems [1, 2]. The whole dandelion plant is edible, meaning the root, the leaves and the flowers. Dandelion leaves can be added to salads, soups, sauces, juiced, dried (together with the flowers) to make dandelion tea, etc. The root is often powdered for use as a coffee substitute or used in teas. I know “this weed” is often taken out from vegetable gardens. I not only don’t remove it, but I actually plant it in my vegetable garden! Sometimes I take the seeds from dandelion plants I find in the fields and plant them in specific places in the garden. There is a very good reason for doing that: dandelions are packed with many nutrients and disease-fighting compounds [1, 2]. They are rich in beta-carotene and other flavonoids (e.g., lutein, cryptoxanthin and zeaxanthin), vitamin K1, folic acid and other B vitamins, vitamin E, vitamin C, minerals (magnesium, calcium, potassium, manganese, iron), fiber . The bitter taste of dandelions is due to phytochemicals called sesquiterpenes, which are suggested to have anti-inflammatory and anticancer effects [1, 2]. – anti-carcinogenic properties – studies show that a dandelion root extract might induce apoptosis (cell death) of several types of human cancer cells, such as leukemia, melanoma, colon cancer and pancreatic cancer cells while it does not seem to affect healthy cells [7-11]. Dandelion leaves and flower extract seem to also decrease the growth and invasion of breast and prostate cancer cells . – diuretic properties – helps reducing water retention, and therefore, in flushing out harmful compounds from our body . This property together with its benefits for the liver help to explain why it has been used in traditional medicine for detoxification . So, as you see there are many good reasons to eat more of this wild plant :). This is another weed that annoys many people, especially because if you happen to touch it, you will get some stings, which might be felt during some minutes/hours. Well, but I have good news! This is another super healthy wild plant! (and yes, I also plant it in my vegetable garden :)). In fact, various scientific studies have been proving it has a high nutritional value as well as many health benefits. Nettle contains beta-carotene, vitamin C, K and B vitamins, minerals (calcium, magnesium, iron, potassium, zinc, etc) and antioxidants [22-23]. In traditional medicine, nettle has been also used to promote detoxification. Nettle can be consumed raw in smoothies or vegetable juices, and cooked in soups or in teas. I normally use the tips of the nettle in smoothies (or soups) and I dry the other leaves for making nettle tea. Handle them carefully using thick gloves (such as garden gloves) to avoid getting painful stings. If you consider using any of these herbs as a herbal medicine treatment, I recommend you consult first a specialized health professional with knowledge in phytotherapy (e.g., a naturopathic doctor) to know the correct dosage for your health condition. Now, I want to say that the majority of studies I mentioned in this article were done in animals or in human cells, and therefore, more clinical studies do still have to be performed. However, these studies are a good indication that these plants could indeed have important therapeutic applications. These studies also help understanding why these herbs have been used in traditional medicine, where since millennials they have been used with therapeutic purposes (interestingly, the same that were found by scientific studies). So, after knowing the benefits of these plants, what do you think about planting some in your backyard to be able to receive all their benefits? 🙂 Having your own source of these plants gives you the freedom to harvest them whenever you want (except in winter, of course). If you don’t have the possibility to plant them, don’t worry: the next time you go to the countryside or to an open field nearby (preferentially far away from big streets) you could profit to collect some! Schutz, K., R. Carle, and A. Schieber, Taraxacum–a review on its phytochemical and pharmacological profile. J Ethnopharmacol, 2006. 107(3): p. 313-23. Gonzalez-Castejon, M., F. Visioli, and A. Rodriguez-Casado, Diverse biological activities of dandelion. Nutr Rev, 2012. 70(9): p. 534-47. Jeon, H.J., et al., Anti-inflammatory activity of Taraxacum officinale. J Ethnopharmacol, 2008. 115(1): p. 82-8. Hu, C. and D.D. 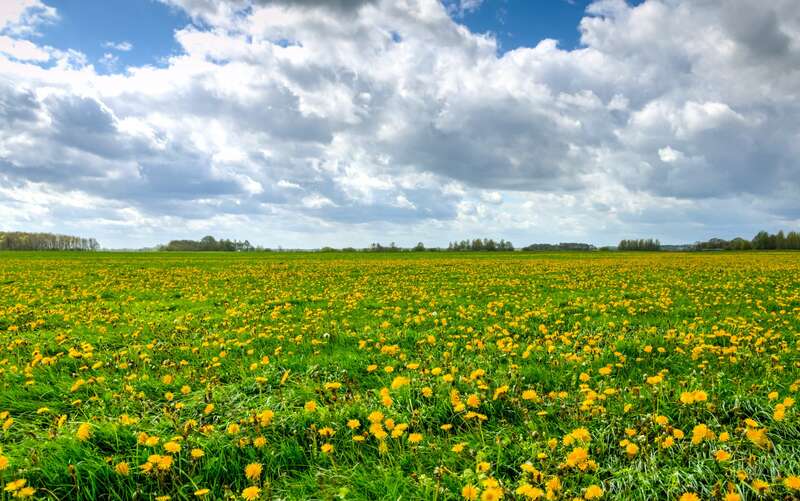 Kitts, Dandelion (Taraxacum officinale) flower extract suppresses both reactive oxygen species and nitric oxide and prevents lipid oxidation in vitro. Phytomedicine, 2005. 12(8): p. 588-97. You, Y., et al., In vitro and in vivo hepatoprotective effects of the aqueous extract from Taraxacum officinale (dandelion) root against alcohol-induced oxidative stress. Food Chem Toxicol, 2010. 48(6): p. 1632-7. Davaatseren, M., et al., Taraxacum official (dandelion) leaf extract alleviates high-fat diet-induced nonalcoholic fatty liver. Food Chem Toxicol, 2013. 58: p. 30-6. Ovadje, P., et al., Selective induction of apoptosis through activation of caspase-8 in human leukemia cells (Jurkat) by dandelion root extract. J Ethnopharmacol, 2011. 133(1): p. 86-91. Chatterjee, S.J., et al., The efficacy of dandelion root extract in inducing apoptosis in drug-resistant human melanoma cells. Evid Based Complement Alternat Med, 2011. 2011: p. 129045. Ovadje, P., et al., Dandelion root extract affects colorectal cancer proliferation and survival through the activation of multiple death signalling pathways. Oncotarget, 2016. 7(45): p. 73080-73100. Ovadje, P., et al., Selective induction of apoptosis and autophagy through treatment with dandelion root extract in human pancreatic cancer cells. Pancreas, 2012. 41(7): p. 1039-47. Takasaki, M., et al., Anti-carcinogenic activity of Taraxacum plant. I. Biol Pharm Bull, 1999. 22(6): p. 602-5. Sigstedt, S.C., et al., Evaluation of aqueous extracts of Taraxacum officinale on growth and invasion of breast and prostate cancer cells. Int J Oncol, 2008. 32(5): p. 1085-90. Choi, U.K., et al., Hypolipidemic and antioxidant effects of dandelion (Taraxacum officinale) root and leaf on cholesterol-fed rabbits. Int J Mol Sci, 2010. 11(1): p. 67-78. Lis, B., et al., Assessment of effects of phenolic fractions from leaves and petals of dandelion in selected components of hemostasis. Food Res Int, 2018. 107: p. 605-612. Yang, Y. and S. Li, Dandelion Extracts Protect Human Skin Fibroblasts from UVB Damage and Cellular Senescence. Oxid Med Cell Longev, 2015. 2015: p. 619560. Wirngo, F.E., M.N. Lambert, and P.B. Jeppesen, The Physiological Effects of Dandelion (Taraxacum Officinale) in Type 2 Diabetes. Rev Diabet Stud, 2016. 13(2-3): p. 113-131. Tan, X., et al., Effects of dietary dandelion extract on intestinal morphology, antioxidant status, immune function and physical barrier function of juvenile golden pompano Trachinotus ovatus. Fish Shellfish Immunol, 2018. 73: p. 197-206. Clare, B.A., R.S. Conroy, and K. Spelman, The diuretic effect in human subjects of an extract of Taraxacum officinale folium over a single day. J Altern Complement Med, 2009. 15(8): p. 929-34. Yousefi Ghale-Salimi, M., et al., Inhibitory effects of taraxasterol and aqueous extract of Taraxacum officinale on calcium oxalate crystallization: in vitro study. Ren Fail, 2018. 40(1): p. 298-305. Kenny, O., et al., Characterisation of antimicrobial extracts from dandelion root (Taraxacum officinale) using LC-SPE-NMR. Phytother Res, 2015. 29(4): p. 526-32. He, W., et al., Anti-influenza virus effect of aqueous extracts from dandelion. Virol J, 2011. 8: p. 538. Adhikari, B.M., A. Bajracharya, and A.K. Shrestha, Comparison of nutritional properties of Stinging nettle (Urtica dioica) flour with wheat and barley flours. Food Sci Nutr, 2016. 4(1): p. 119-24. 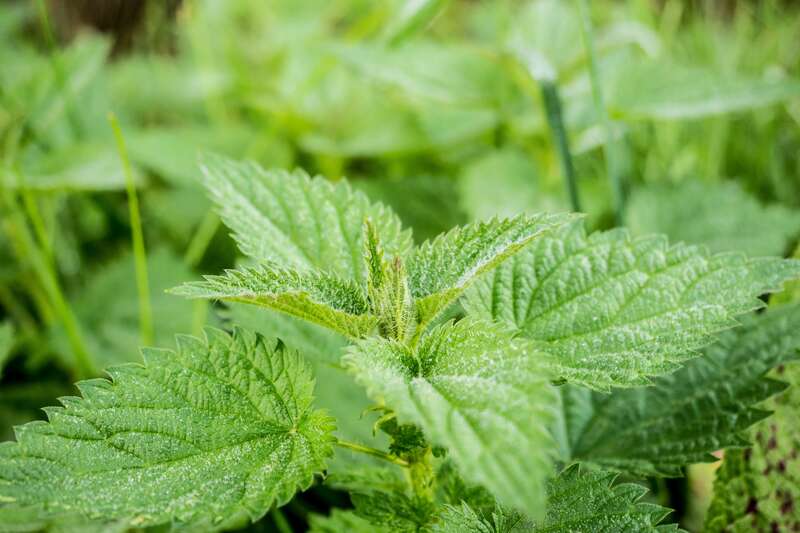 Rutto, L.K., et al., Mineral Properties and Dietary Value of Raw and Processed Stinging Nettle (Urtica dioica L.). Int J Food Sci, 2013. 2013: p. 857120. Mzid, M., et al., Antioxidant and antimicrobial activities of ethanol and aqueous extracts from Urtica urens. Pharm Biol, 2017. 55(1): p. 775-781. Qayyum, R., et al., Mechanisms underlying the antihypertensive properties of Urtica dioica. J Transl Med, 2016. 14: p. 254. Testai, L., et al., Cardiovascular effects of Urtica dioica L. (Urticaceae) roots extracts: in vitro and in vivo pharmacological studies. J Ethnopharmacol, 2002. 81(1): p. 105-9. Yang, C.L., et al., Scientific basis of botanical medicine as alternative remedies for rheumatoid arthritis. Clin Rev Allergy Immunol, 2013. 44(3): p. 284-300. Riehemann, K., B. Behnke, and K. Schulze-Osthoff, Plant extracts from stinging nettle (Urtica dioica), an antirheumatic remedy, inhibit the proinflammatory transcription factor NF-kappaB. FEBS Lett, 1999. 442(1): p. 89-94. Genc, Z., et al., The effect of stinging nettle (Urtica dioica) seed oil on experimental colitis in rats. J Med Food, 2011. 14(12): p. 1554-61. Mittman, P., Randomized, double-blind study of freeze-dried Urtica dioica in the treatment of allergic rhinitis. Planta Med, 1990. 56(1): p. 44-7. Helms, S. and A. Miller, Natural treatment of chronic rhinosinusitis. Altern Med Rev, 2006. 11(3): p. 196-207. Nassiri-Asl, M., et al., Effects of Urtica dioica extract on lipid profile in hypercholesterolemic rats. Zhong Xi Yi Jie He Xue Bao, 2009. 7(5): p. 428-33. Koch, E., Extracts from fruits of saw palmetto (Sabal serrulata) and roots of stinging nettle (Urtica dioica): viable alternatives in the medical treatment of benign prostatic hyperplasia and associated lower urinary tracts symptoms. Planta Med, 2001. 67(6): p. 489-500. Nirumand, M.C., et al., Dietary Plants for the Prevention and Management of Kidney Stones: Preclinical and Clinical Evidence and Molecular Mechanisms. Int J Mol Sci, 2018. 19(3). Mohammadi, A., et al., Urtica dioica Extract Inhibits Proliferation and Induces Apoptosis and Related Gene Expression of Breast Cancer Cells In Vitro and In Vivo. Clin Breast Cancer, 2017. 17(6): p. 463-470. Mohammadi, A., et al., The Herbal Medicine Utrica Dioica Inhibits Proliferation of Colorectal Cancer Cell Line by Inducing Apoptosis and Arrest at the G2/M Phase. J Gastrointest Cancer, 2016. 47(2): p. 187-95. Di Sotto, A., et al., Antimutagenic and antioxidant activity of a protein fraction from aerial parts of Urtica dioica. Pharm Biol, 2015. 53(6): p. 935-8. Namazi, N., et al., The effect of hydro alcoholic Nettle (Urtica dioica) extracts on insulin sensitivity and some inflammatory indicators in patients with type 2 diabetes: a randomized double-blind control trial. Pak J Biol Sci, 2011. 14(15): p. 775-9. Kianbakht, S., F. Khalighi-Sigaroodi, and F.H. Dabaghian, Improved glycemic control in patients with advanced type 2 diabetes mellitus taking Urtica dioica leaf extract: a randomized double-blind placebo-controlled clinical trial. Clin Lab, 2013. 59(9-10): p. 1071-6. Akbari, H., et al., The healing effect of nettle extract on second degree burn wounds. World J Plast Surg, 2015. 4(1): p. 23-8. I used to buy organic dandelion greens in south Florida for $4. a bunch. Now I live on a ranch in CO. and I pick them fresh every morning to put in my smoothies. I add berries and nuts and many other greens(including home grown broccoli sprouts) and the berries seem to mask the bitterness. I LOVE free produce ! Thanks for another great article !